Soaps are made with vegetable glycerin and contain no alcohol or animal by-products. 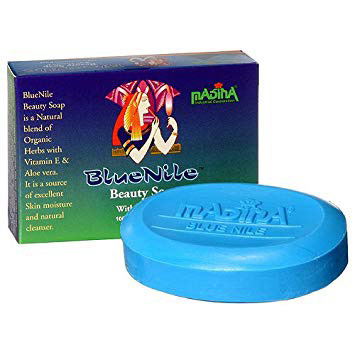 Blue Nile Beauty Soap is a natural blend of organic herbs with vitamin E & Aloe Vera. It is a source of excellent skin moisture and natural cleanser.